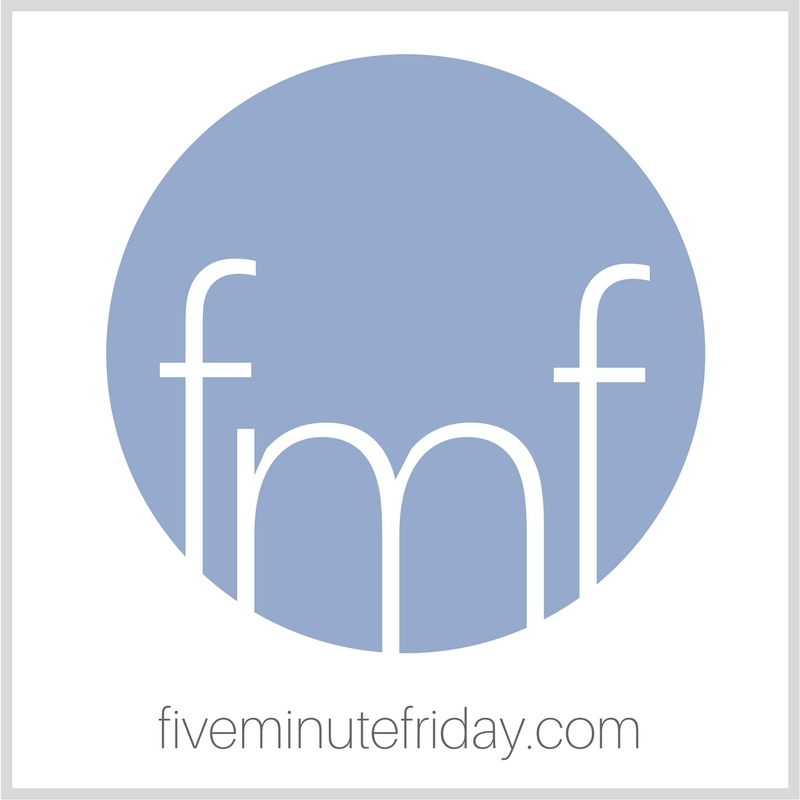 Welcome to this week’s edition of Five Minute Friday! Can you even believe it’s DECEMBER?! I honestly don’t know how that happened so fast. But here we are, counting down to another Christmas. If you’re new to the link-up, learn all about it by clicking here. Ready to write? Let’s go. For six out of the past eight years, I homeschooled my kids. This year they’re at a new school and I’m working full-time. And no joke: my youngest two come home from school and hang all over me. As in, sit on my lap or at least on one thigh while I’m trying to work. This may sound normal and expected if they were younger, but they’re ten and twelve years old. But they can’t. They can’t get close enough. The other evening I was sitting on one end of the couch with my computer in my lap. My twelve-year-old bypassed four other seating options and came to lean her head on my shoulder while she read her book. Of course I laughed but deep down I realize I’m so very blessed. Because yes, I know very well that these days will soon be over and in no time at all we’re going to plunge into the joyous teenage years and they won’t want anything to do with me. Or maybe one or all of us won’t even make it there, since we all know we’re not promised tomorrow. And then I remember: Even if I sit directly in His lap, I can’t get any closer than I already am as one of His own, because by His grace He is IN me and I am IN Him. Link up your own post below, then visit your link-up neighbor to read their post and leave an encouraging comment! That said, I love that my kids STILL sit on my lap . . . on rare occasions. At 13 and almost 15. The fact that they want to be near me awes and humbles me. I love that God wants that sort of intimacy with us as well. This is just beautiful, Kate! I manage to get one of my ‘kids’ to sit on my lap each time I’m with them :). They are both adults and bigger than me, but I cherish every moment of nearness I can get! Kate, this is absolutely lovely. I promise I didn’t even read your post until 2 hours after I began writing my own. A testimony Holy Spirit unites and speaks into our hearts with His own words. Bless you with His tangible presence today. You’re in a very special season with your kids, Kate, and I do encourage you to savor it. They pull away for a short time but I’ve learned they tend to come back and draw near again! Sweet! Kate this was good for me to read. It seems when stages come I get weary. I don’t want to grow impatient, I want to be gentle and patient when it takes the kids longer to get out what they want to say, when things aren’t moving as fast as I’d like, (etc). Taking time to slow down is where I feel myself, where I experience God’s presence all the more, and where I know the kids can seem him in me, rather than in the rushed attitude. but for today, I’m so near to learning how to receive his blessings without reservation and with dignity, and that makes me feel whole, I am near to discovering a new chapter in my life and have the peace and contentment in knowing that God will be near. in my hardships, in my successes, In my health, in my rest and In my works. I feel he is near to me in all things and grateful that at least for this season I am aware, when God is near he is dear, Jesus shows the way,, and the HOly spirit leads and guides in all things, I am looking forward to him being near my blessings rather than my hardships. beautiful. I could relate so well. The kids know I rarely sit down, but if ever I’m sitting on the couch, they flock to me. I don’t think I realize how few opportunities I provide them to cuddle and how much they soak it up when they get to. Thank you for a tender post. I love that your kids snuggle with you. Means they feel safe and loved and secure – and that means you (and your hubs, I’m sure) are doing something very right. Hold onto that on the days when you feel like the worst mom ever.